The online gift shop is very unique in the market and a step-ahead of the normal gifting surprise opportunity. We have developed our new Readymade Gift Shop Script which will support both new entrepreneurs and existing shop keepers to precede the next level. 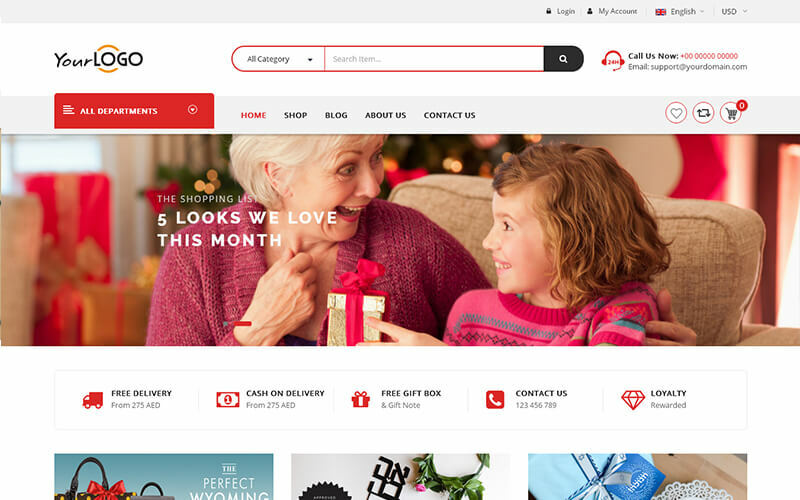 We have integrated several features in our open source PHP gift shop script as majority of the Gifts Shop supports unlimited categories and sort function using prices, zoom-view for the product images and search option to sort the specific product. With regards to the design, it has a high quality design with responsive interface which will support all the devices. We also provide 1 year of technical support, free updates for the source code for 6 months, and the product is absolutely brand-free. We will provide you with the full source code upon purchase of the Gifts Shop Script and your website will go live within the next 24 hours. Integrated with Social Share& Locker provides Share button options for your Affiliate to share their Affiliate Links on Social Network. Integrate the Affiliate Account Page section directly into commerce Account page as a regular tab. Wow!! Really Awesome Script that too in low cost and about customer support really happy to purchase script from you. Hi friends, I use E-commerce gift shop script is wonderful to do online gift shop business. We can add unlimited categories and easily find out specific product. It has high quality design with responsive which will support for all devices. This has got to be one of the most exciting scripts I’ve seen in this whole year. Congrats and big thanks for making this! I just started building my latest online business on top of it and absolutely love it.